The life force of the retail environment is in danger. The center store needs a facelift. The aisles are too narrow, shelves are boring and merchandise is hard to see. Shoppers are having a difficult shopping experience and are in need of something new. 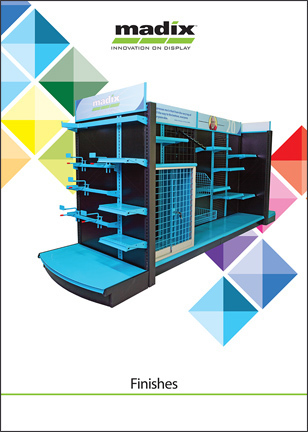 Madix's innovative fixture solutions can help retailers apply exciting new concepts to help the center store flourish. Lighting, dynamic shelving and signage can add interest in an otherwise neutral store area. Attract shoppers with Madix's LEDge Light with optional motion censor. Break out of straight-line aisle shelving with Radius Shelves. Create multi-sided focal points with Y-Gondola. Research shows that most shoppers within the center store are overwhelmed and are often in a hurry. Adding radius shelving within the shelving row can allow shoppers to be more engaged with the products. Signage allows shoppers to quickly locate products of interest faster and with more information. Madix's LEDge Light system is perfect for illuminating products on the shelves. Attract shoppers with new and different concepts that help them focus on the product. Effectively Illuminates Graphics or Signage. Perfect for main aisle or high-traffic areas. Lift sales through smart display.